SRMS Trust finally set a successful world record of more than 24 hours of singing ” Longest Singing Show -Solo Performances”. 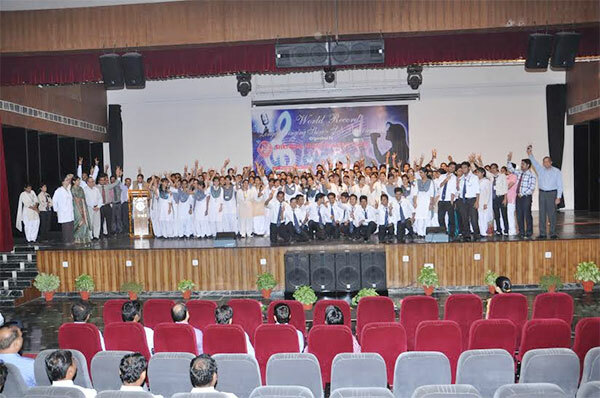 Over 400 Students, Staff members, Anchors and Musicians from all the institutes of SRMS Trust, performed in the Centennial Auditorium of SRMS CET for success. Amar Ujala and Big 92.7FM were the media partners for this show. During the event Dev Murti, Chairman SRMS said,” The students are capable of setting a much higher record than this and they will surely make many more world records like this in every discipline. This is a moment of proud for SRMS TRUST, Bareilly and India for creating World Record”.